My bad :roll:, I mistook Iceland to be an US territory. Nevermind my remarks, but thanks anyway Krieg! the idea is not to defend every landarea, only the vital ones (italy, germany), then have meches + tanks + planes in range so that you can counterattack anything else. it is not trivial for US to land in north italy if you defend it with 3-5 units, and are able to counterattack with 15-20 german planes + 20+ german landunits. german mechs in w germany are able to counterattack most terretories in europe, if the german planes try to stay in range, then it is difficult to land. the only two terrs that are not “covered” by this strat is norway and s italy. in s italy you need how much you need anyways, and for norway, if your fleet is alive, you can have 5-8 inf in finland, keep your planes within range and then be able to attack with about 25-30 units (depending on how many planes you have). It is expensive to defend against an enemy that can land everywhere, so rather, counterattack than defend, if you are able to kill one load of americans, then the transports need 3 turns before they are back and able to threathen again. The only time it didn’t work for me was when my dice went sour on G5 & G6 going into Russia, But the following week it worked and everybody was rolling better, I have yet to try it with the latest 3.9 rules. So much depends on good rolls at key battles and being able to work as an Axis team. Need help forming strategy: Operation Penta-"gone". When US builds KIF? @RedHunter: I have a few problems with all of this as follows… 1. As pointed out the Uk has no reason to declare on Japan…the USA player would kill the brit player if they did that. This would be a case of the allied players not talking to each other. In which case they are going to lose anyway. 2. The USA player can’t be so stupid as to disreguard threats near them, you can’t suprise them really. Again if the USA player is that stupid you don’t need weird tactics to beat them, you can beat them straight up through tactics. 1: You no longer need UK to declare war on Japan. See reply number 32 for explanation. Japan is free to fly over UK territories while neutral. This does not cause a declaration of war, per Krieghund. 2: You no longer need to surprise the US. In fact, it appears that keeping US neutral 3 turns prohibits them from being able to stop this air force move. Finally, the only player able to stop/impact this, is USSR. They need to shove 12 units to Siberia turn 1, to threaten a take back of Soviet far East. Japan should lose 2 air units and 2 ground units destroying this force on J2. This is not likely, as Japan hasn’t started the game yet, so they would have to “guess” that Japan is going this route and expose a large portion of their starting Eastern forces to a Japanese invasion. 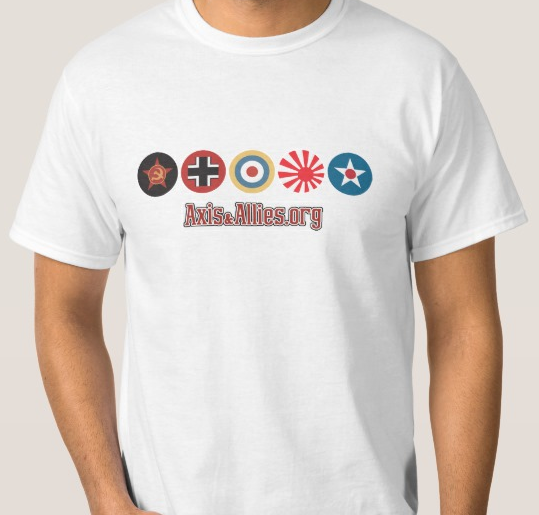 This post is regarding moving the starting Japanese air force to German occupied Alberta. It is not an argument for just America first. It is a discussion for how to always be able to get the air force to the Atlantic. America first may have a lot of problems yet to be resolved. This is one less problem.